LOUISVILLE,Ky. 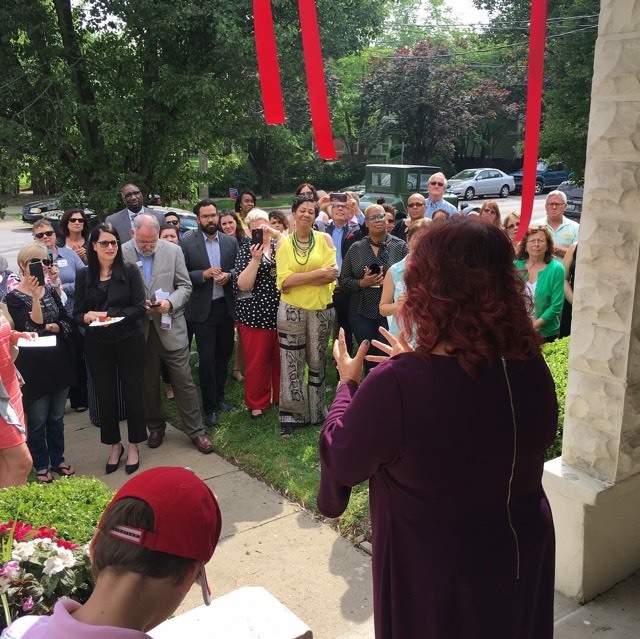 – Three local woman owned businesses set up shop together at 1825 Frankfort Avenue with a focus on creating a positive impact in individuals, organizations and communities. Marta Miranda-Straub, Catapult Now; Melissa Johnson, Gateway Therapy; and Lacey McNary, McNary Group have joined forces as The Collective. 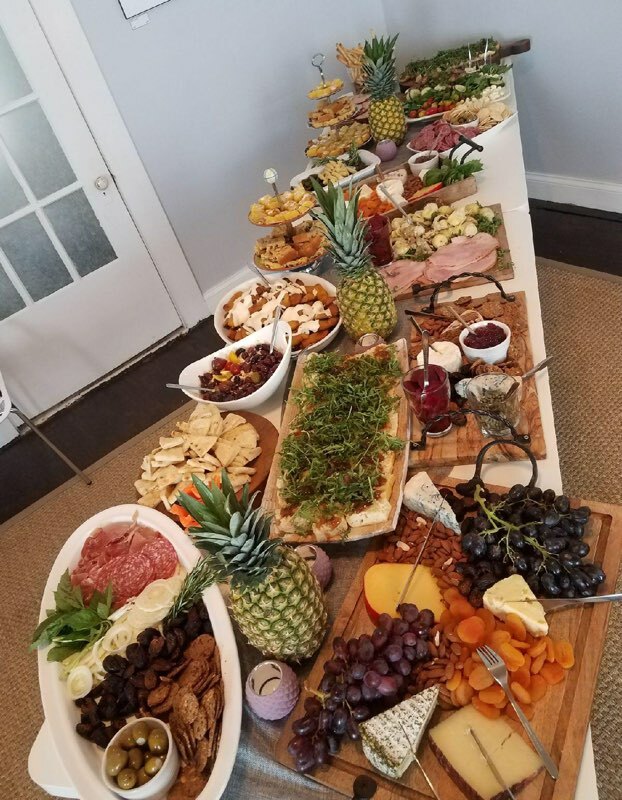 In addition to the individual work they take on the businesses will contract as a team collaborating on projects, bringing people together in a structured way to achieve goals. Miranda-Straub, Johnson and McNary unveiled their new partnership last week. 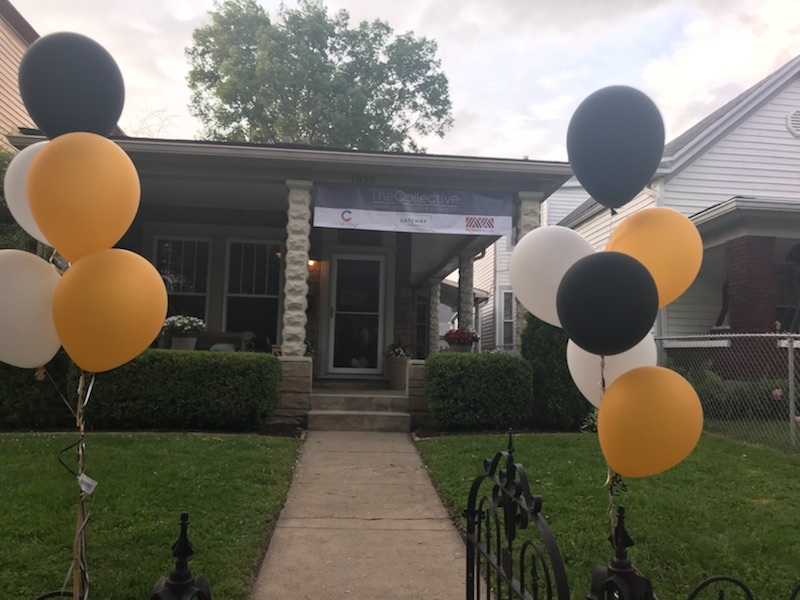 Partners, local officials and friends joined the trio on May 16, for a ribbon cutting at their newly opened office on Frankfort Avenue. 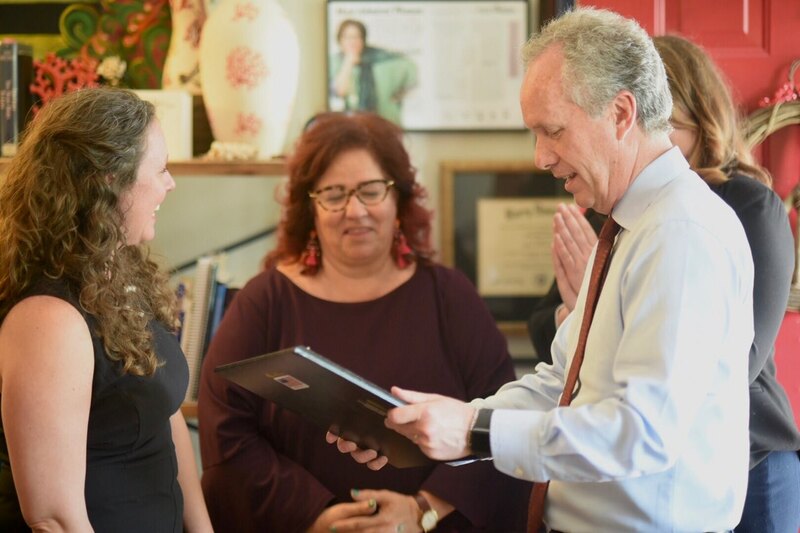 “I have been fortunate to have the opportunity to work with Lacey, Melissa and Marta, they all combine the knowledge, ethic and determination to get things done. 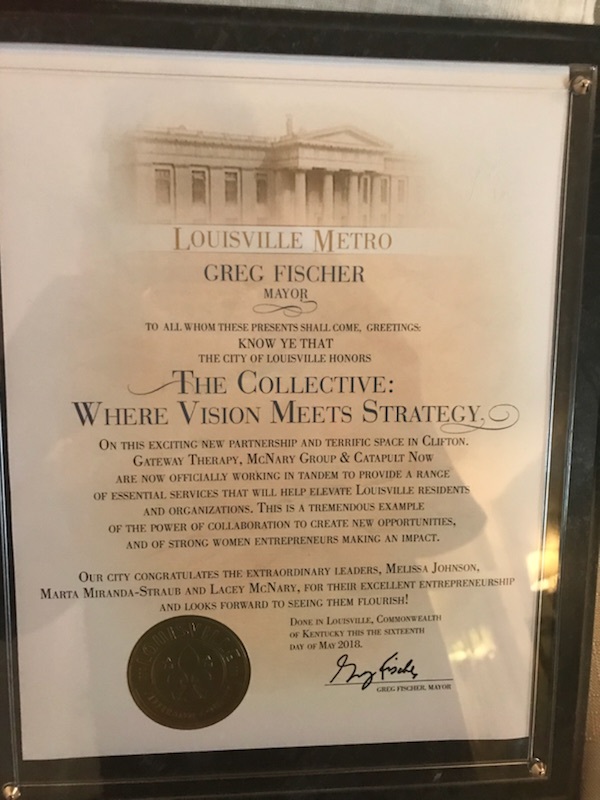 I am so happy to know such wonderful people are working together in Louisville.” Said Eric Friedlander, Former Deputy Secretary of the Kentucky Cabinet for Health and Family Services. With a long list of partners, clients and accomplishments as individuals the collaboration is poised to hit the ground running and make an impact for good. The Collective is a three-agency collaboration creating positive impact in individuals, organizations and communities. 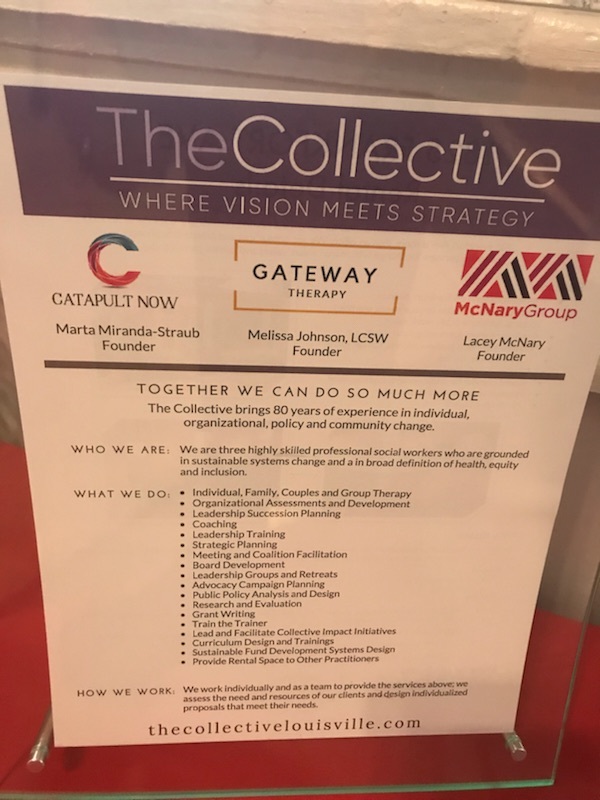 Catapult Now, Gateway Therapy and McNary Group work together to leverage complementary expertise in personal, organizational, and policy change to create generate solutions that empower clients to create social good and real, lasting change. Catapult Now: Organizational and leadership development, facilitation, coaching, executive leadership succession, trainings for both private and public-sector organizations as well as public speaking from Marta Miranda-Straub. Gateway Therapy: Collaborative Network of private practitioners offering individual and group therapy, as well as training and education by Melissa Johnson, LCSW; making positive change at the individual level. McNary Group: Offers an array of services to nonprofits, foundations and governments Including; Advocacy campaign planning, public policy consulting, research, grant writing and fund development by Lacey McNary.